Basically, this is a device that has been designed to monitor the heart rate during exercises, monitor the sleep, keep track of calories, calculate the distance covered among other functions. When connected to a compatible smartphone, LETSCOM Fitness Tracker HR will enable you receive phone notifications like messages and Facebook notifications making it very convenient. The multipurpose design is unisex and it is suitable for all, both kids and adults. It is therefore one that is worth investing in. LETSCOM fitness tracker is the perfect choice for those individuals who are looking for an activity tracker. This is a great introduction to the fitness tracking. The device features essential monitoring functions for your activity. This is a high quality fitness device with bright touch and excellent sensitivity OLED display. Did you know that you are able to receive text messages, WhatsApp and Facebook notifications or even receive a call when you are not having your smartphone in your hand? This is an all in one Fitness tracker. When connected with a compatible smartphone, you will never miss out on anything just because you were out on an exercise. The multipurpose design has an alarm alert which is silent, ensuring that it does not scare you, say in the morning or even wake your little one. It also has an ideal OLED screen that is bright and very visible which is around 1.0 inches to ensure that you do not strain to read the notification or read the displayed data. If you are a persons that love hiking or is involved in exercises every now and then, you agree with me that you are rained on every now and then. For that reason, a fitness tracker that does not stand rains will mean that you will have to keep removing it from your hand every time it is raining. Nevertheless, LETSCOM Fitness Tracker HR is waterproof. In point of fact, it is designed to stand very harsh weather conditions which means carrying it along everywhere you go. The waterproof design is also good looking and stylish. It is designed to fit your wrist regardless of the size and therefore upholds a good look which is not too tight or too loose. 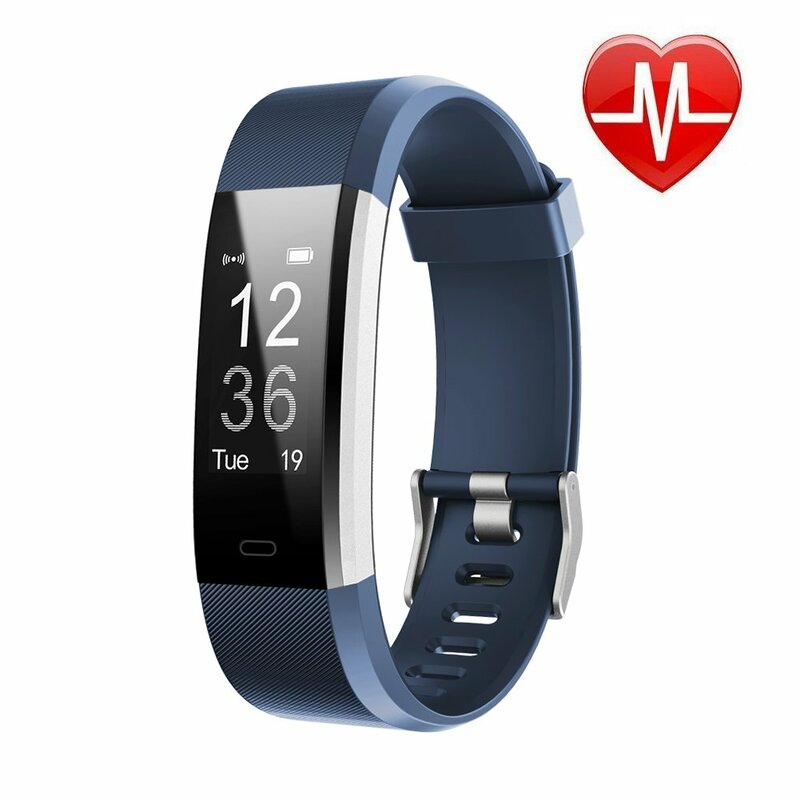 LETSCOM Fitness Tracker HR has very important parameters, featuring heart rate monitor. This is a feature that monitors your heart rate and displays it on the very clear screen so that you are able to see it in a glance. At the end of the day, with an initialed application, you are able to analyze your whole days performance with important details like average heart rate among others. Additionally, the elegant fitness tracker monitors and describes your sleep. This implies that for each and every night, you will be able to tell the type and the quality of sleep that you are having, either sleep wake or even deep. This allows you live a healthier lifestyle. While most people are very interested in knowing how many calories they burnt, to most it has remained something that is far out of reach due to the busy schedules and the cost that may be involved in tracking such. Never the less, this inimitable tracker tracks not only calories but also counts steps and also records the distance covered. This implies that at the end of the day you will know the total distance covered. The ergonomic design is lightweight, featuring comfort throughout the day. This allows you to stay with it through out without the need to remove it. It offers firm, secure yet very comfortable grip. LETSCOM Fitness Tracker HR is very convenient, reliable and multipurpose. Whether it is a sports day, the daily exercise or even hiking, the incomparable will undoubtedly leave you satisfied. Its long battery life of up to 168 hours (7 days) ensures that you always have it all the time without disappointment of going off. The frustration free fitness tracker is easy to charge, featuring built in USB plug which allows you to charge easily without necessarily carrying a cable. The good-looking design is made with expertise so that it lightens up when you turn your wrist in the direction you are in a manner to check out for anything. 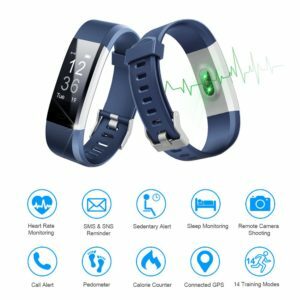 Why Should You Use LETSCOM Fitness Tracker HR? LETSCOM Fitness Tracker HR is a perfect choice because it enables smart connectivity. Majority of users prefer the fitness tracker device that can easily connect with other devices for better use. You can easily pair this device with the compatible Smartphone so that you can easily monitor your fitness schedules. The tracker makes it simple to receive notifications and text messages right on the wrist. 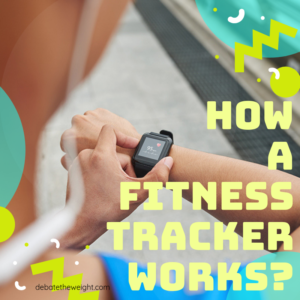 As you take your fitness programs into consideration, you need a quality fitness tracker to help you keep your daily fitness records. This is one of the main reason why you should use this tracker. It helps you in counting steps, keeping the records of calories and distance on a daily basis and alerting you to move on when you have been sitting for long. LETSCOM Fitness Tracker HR is absolutely amazing. It can easily track your sleep. It automatically track your sleep hence helping you have a good sleep which helps you wake up being physically refreshed and being sharp mentally. It measures deep sleep, light and even wake sleep. In addition to fitness tracking, you can also choose to use this tracker because of its attractive and sleek design. The tracker has a relatively simple design that makes it perfect for those wanting a smart looking tracker. The tracker is enclosed into the silicon band which turns it into the watch. The tracker is also light and not thick, hence making it comfortable to wear. Made of multiple features, the device enables you track almost everything relating to your fitness. 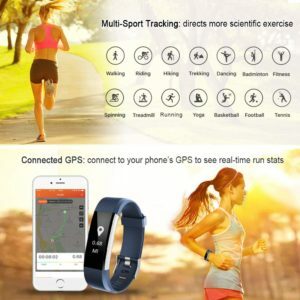 It offers a multitude of features such as calories record, pedometer, heart rate monitoring, sleep quality monitoring, time, music control, camera control and many others. Is this fitness tracker water resistant? Do you need a charger to charge the tracker? Does it show the number of calories burned? Does all its function work on the iPhone? Can it pair with the Samsung S7? LETSCOM Fitness Tracker HR is one in which affordability, convenience and ease of use has been achieved. It is one which ensures that everything that you want to know about your body especially when exercising is displayed and readable in the bright clear screen which actually lightens up when turned towards you. It is therefore a very essential device and a perfect gift for each and every person regardless of the age or gender. 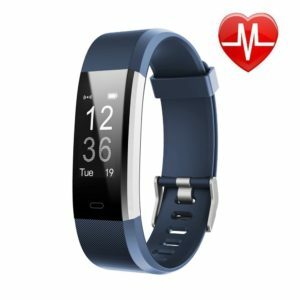 This is the most recommended fitness tracker for those individuals who intend to buy a fitness tracker. 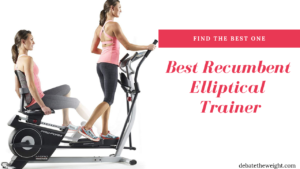 Are you an exercise enthusiast who needs an electric treadmill for replacement or a start? 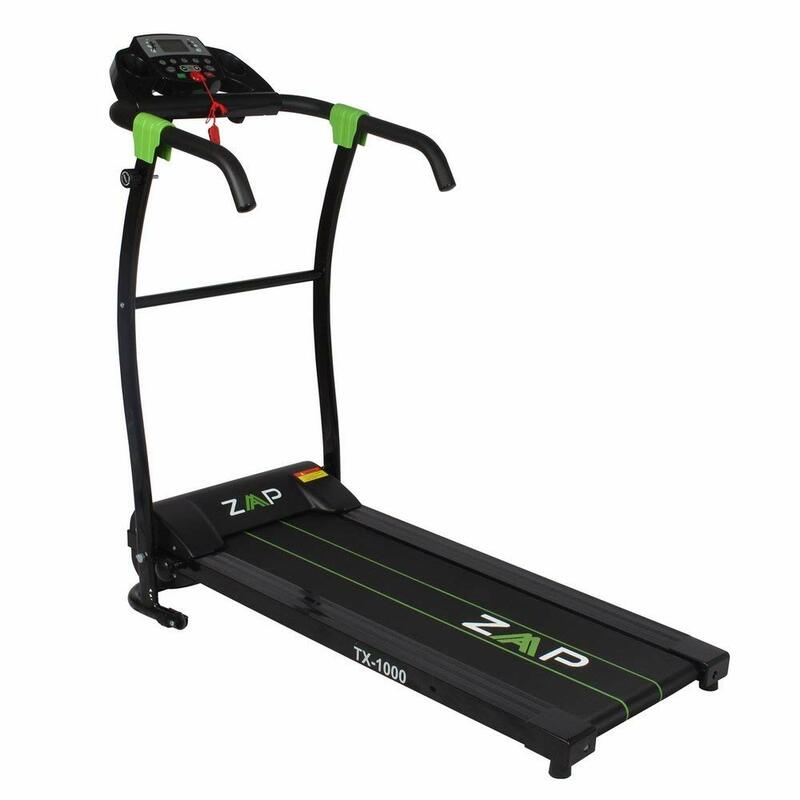 If yes, then we got you the ZAAP TX1000 735W Pro Electric Treadmill. This is no doubt one the best that you can reckon with in terms of construction, apt performance, and manufacturer’s assistance. It is a product that is very easy to use starting from assembling to methods of operation. In fact, it’s a foldable motorized treadmill. It doesn’t consume too much space and lugging it from one place to another won’t definitely be a problem. Although it has no incline adjustment, yet it’s so strong that it can “contain” users that are heavyweight. However, it’s a home exercise equipment that is only recommended for short and body-slim-fit users. Also, it’s highly customized and affordable. With its ergonomic structure and quality running belt, you can be sure of maximum conveniences while utilizing it. The console, on the other hand, has all the functions that you need to make you have pleasant workouts. It has preset programs that anyone can use including those that have health challenges and those that don’t. Of course, it also has handles with pockets where headphones can be kept. The maintenance of this treadmill is exhilarating. It’s so easy to clean and save. You can even use it for any part of your building with ease due to the fact that it’s made of steel. Looking for a treadmill, to begin with? This is the right one for you. Of course, this is an electrically powered treadmill with a long power cord. This has a power cord that’s more than 5ft long and it’s durable. It uses a motor with the range of 735kw so as to provide maximum impact and support. This exercise equipment is solely for users that prefer to use it at their homes only. 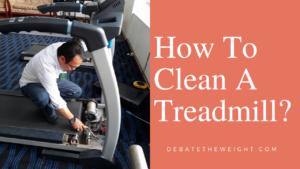 It’s definitely a treadmill that can be used either by a beginner or one who needs it for the replacement of the costly ones. It has a wattage of 735W and voltage of 110V. It’s an eco-friendly that makes next to no noise. Looking for a treadmill with low cost and can be used for soft/light jogs or run? Then this treadmill that has a maximum speed of 6mph will be best for you. It has 5 various speed limits which gymnasts can comfortably utilize. The range of the speed limit is from 0.6mph to 6mph. Furthermore, the speed limits help you as a starter to get accustomed to the level of speed that you can successfully “co-operate” with to attain a point in time. In other words, you’d be able to know the distance that you can cover at a particular time while utilizing a definite speed. This is also great for those that are battling with Arthritis and other bone disease infections. It makes them find it easy to massage their bones and tendons. This has an LCD display at its console where programmed data are displayed. Some of the data that this treadmill reads are speed, distance, time, and calories burned and so on. In fact, there are 12 in-built programs that users can use to enhance their skills. Even a newbie can make use of it like a nerd. The readings that are displayed on the screen are so clear, bright and readable. It demarcates the categories of the display data into an understandable pattern. It’s just great to make use of. This is a product with a dimension of 50 x 23.5 x 47 inches and weighs 57 pounds when it’s assembled. However, if it’s folded the dimension of this product becomes 47 x 23.5 x 27 inches. This means that it saves spaces. The runway, on the other hand, has a dimension of 38 X 13 inches. It’s great for users that are less than 5.5” tall. 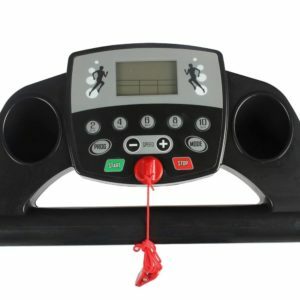 The frame is made of steel and the running belt is made of strong PVC. In fact, it’s safe to make use of as it comes with a magnetic switch for the absolute use of the product. Also, it has an ergonomic structure which makes it very usable for all surfaces. This treadmill is absolutely for those that weigh less than 265 pounds. It can be used by human and also animals also. It takes its reading in mph and great for everyone, especially new users. It’s safe to save due to the metal material that’s used for its construction. It’s just simple and highly recommendable. 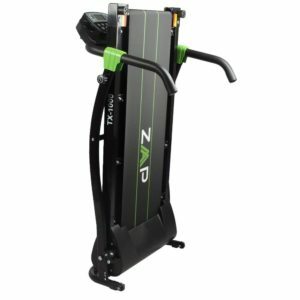 Why Should You Use ZAAP TX1000 735W Pro Motorized Electric Treadmill? 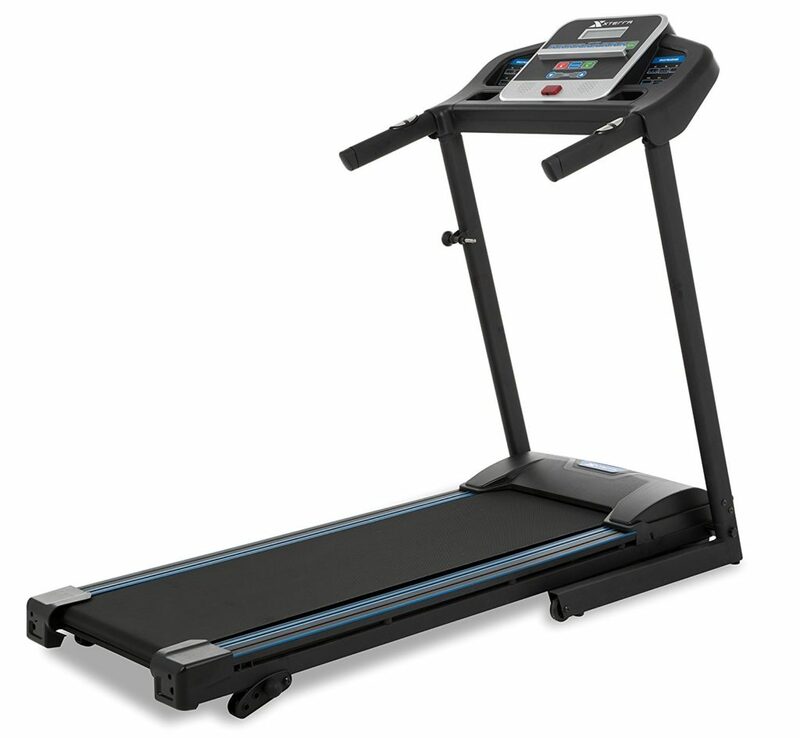 This treadmill has a trusted motor that’s capable to provide you with smooth performance. It’s durable and well built. In fact, you can leave it in an open environment, it won’t become rust. Every part of the machine looks great. The design, shape, size and color that you can find it is so amazing. It can complement any part of the house. This home exercise equipment is very much affordable. It costs less than $250 and it’s very much functional. It’s a product that you can trust with your budget. You can comfortably operate this product and use it provided you’re averagely tall. The maintenance is right in every part of the house and storing it is super convenient. The reason why you need to purchase this is that it saves you time and money. Instead of going to the gym, you can have a nice time carrying out the exercise. 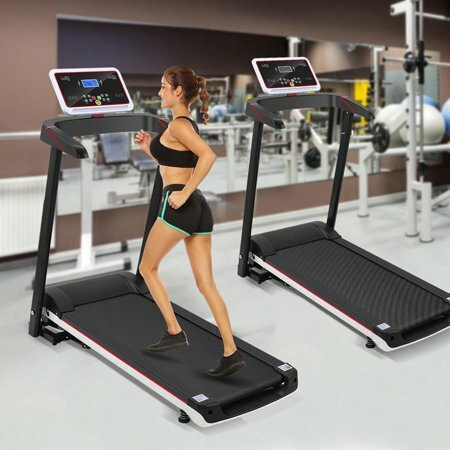 It’s a unique equipment that can help you to build a healthy lifestyle. This has a maximum speed of 6mph. The frame is of steel. 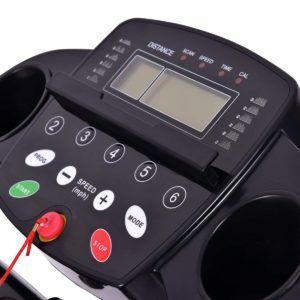 The treadmill uses an LCD display for illustrating the reading of your exercise. This comes with a magnetic switch. Does it have wheels underneath it? Answer: No, but it has a nice ergonomic structure that keeps it sturdy. Folding it also is pretty easy. Can I run perfectly with this? Answer: No, you can only carry out soft jogs. However, you can walk well with this. How would I assemble it? Answer: That’s simple. The manual would direct you on that. In fact, there are only two parts that need to be coupled. Do I need to be applying the lubricating lube every time? Answer: No, you only do that when the treadmill suddenly fails to work or makes some screeching sound while it’s on operations. This review uses this medium to enjoin new buyers to launch for this product only if their height and weight coherent with the description. Of course, this is just one of the many motorized treadmills that you probably may find around you. But what the review did was that it broke down its features and explained their significance in an understandable manner. By now, we are sure that our readers have got all the information that they need to make the right choice. It’s widely believed that a health-conscious living is far better than gold and rubies. A good living is as a result of balanced cardiovascular hormonal functions. In fact, researches have shown that for every individual to maintain a moderate heartbeat rate, such must participate in day-to-day exercise activities, either voluntarily or involuntarily. Such exercises that one can carry out can be in terms of sports, walking and jogging. 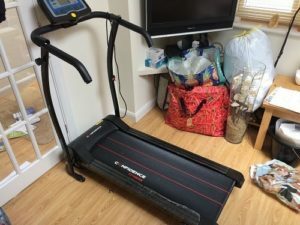 Of course, for anyone that has a short ‘leisure’ time can opt for a treadmill such as this which anyone can use regardless of the available size in an apartment. To be candid, provided you’re going through physiotherapy then this product is the best for you, you know why? This is because it has 4-speed limits and all are great. Let me explain further, as an individual that’s undergoing this medication, you have to use a treadmill that’s not beyond 6.2mph (though it reads in km). The reason is that it aids you to distinctively get your body to recuperation faster than any other means. And that’s what this product has to offer you. This product is not the best and neither is it the worst. But what compelled use to consider it is for the sole purpose that it’s being used for, walking. After we had considered that, we sought for the great benefits that our amiable readers stand to enjoy then we found it to be the manufacturer’s customer service. This company is willing to serve you with the best and provide you with the optimum confidence and conveniences that you need as a customer. For HIIT training sessions and physiotherapy, there are 12 preset programs that you can opt from. These programs aid you to attain the mastery use of the speed that’s fair with your tendons and ligament alignments. This feature is very much recommended for daily users also especially those that need light jogging and exercises. At 5 mph to 6.2 mph, you can comfortably get what you hankered for. Adults can also make use of this in the quest to stay healthy. And, guess what? It’s so reliable that it doesn’t instantaneously increase or decrease its speed automatically on its own. 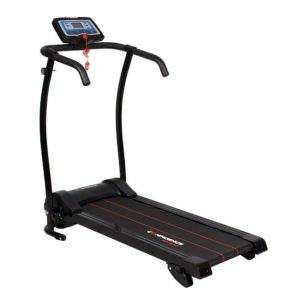 This Confidence Fitness Confidence Power Trac Treadmill has LED display that provides you with the update of your fitness. The crucial data that is provided by this machine is the speed, time, distance and calories burned. The sensor reads your motion and the mechanism of your body’s reaction with respect to time and calculating the number of calories burned at a point in time. It doesn’t read in meter per hour (MPH) but rather it provides its reading in kilometre (and it can’t be changed). Nevertheless, after we had carried out our research, we’ve come to know that this has 4-speed limits that you can decide to utilize. The sequence of the speeds are 1.86mph, 3mph, 4.9mph, and 6.2mph. Apart from the fact that the track of its running belt is smooth, the deck also is well designed. However, it all depends on the weight of the user. The maximum weight for this treadmill is 260 pounds. The avoidance of this can cost the imminent spoilage of the running belt. In spite of this, you’ll enjoy its use as it features also 3 manual inclines. In other words, you can manually tilt the track to become sloppy. Notwithstanding, changing the degrees of the track is super easy. All you just have to do is check underneath the base, then cognitively change it. The degrees that you can choose to position the track are 5 degrees, 3.5 degrees, and 2 degrees. Opting among these won’t make you feel like you’re climbing hills, it’s just so perfect for anyone to use. This is a foldable treadmill with a console. Of course, it’s electrically powered and the cord that is used is quite long. It doesn’t occupy much space also. In fact, the dimension of the full home exercise equipment is 42 x 24 x 7 inches and it weighs 52 pounds (when it’s assembled). The running belt is not too wide neither is it too narrow. It’s just a product of moderate sizes. The whole track has a dimension of 14 x 39 inches. For smooth and smart locomotion, the manufacturer made use of the 735 kw/1HP motors. This motor provides you with the full support and smart function that you need. It doesn’t make annoying noises and it has a capability of reaching a speed of 10km/hr. The plug is of America standard. It also has on and off switch for the easy use of the treadmill. 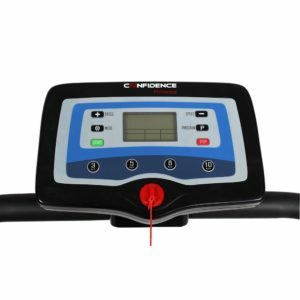 Why Should You Use Confidence Fitness Confidence Power Trac Treadmill? This product is easy to fold and carry even by an old age user. If a teenager wants to start working out, then this is the most recommended product. It’s great to make use of. Unlike those that their running belts provide much momentum, this has quite a good number of speed limits with simple functions. Except for the handle that doesn’t fold, every other part can be tucked underneath the bed. It has a small reliable size that is fit for anyone to make use of in any area. It comes with packages that make it very easy to assemble. Also, it has an ergonomic structure that adequately provides support for the balances of the machine. Just as we said earlier, the customer service of this product made us nominate this product among the best. They are willing to provide you with the maximum support that you desire. This has a nice design. This treadmill is very much foldable and it doesn’t consume much space. The machine is very easy to save. There is a console with different buttons around it for it to easily be controlled. The customer service for this product is super satisfying. The fact that the handle is curve makes it difficult for a tall user to swing his/her when using it. Can I use this for running exercise? Answer: No, you can’t. You can only use those that have 10mph or more. Answer: We’ll advise you to contact the manufacturer for more information on this. How can I contact the manufacturer? Answer: Via their official website. What’s the distance of the base from the floor? What is the height of the treadmill? Answer: Its height is a bit more than 10 inches. This is a reliable review that you can make use of to make the best purchase. It provides the notable features that everyone should look out for. With this review, buyers can know whether the product is best for their want or not. In fact, the writer made sure that readers know more about the performance of the machine. Nevertheless, we hope that our valuable readers are able to utilize this information in making the right choice. One of the best treadmills that you can use as a slim, tall gymnast or exercise enthusiast is the XTERRA Fitness TR150 Folding Treadmill. You can find out for yourself! It’s one the most reliable home exercise equipment with enough genuine hypes. It provides you with the flexibility to increase its inclination. Looking at the machine empirically, you can tell how fascinating it is. The metal material used in the making of the frame is absolutely durable. It can be used in any area of your house not mindful of the space or its exposure to weather conditions. It’s an equipment that has enough speed capacity to take you on cycles, timing, distance, and so on. In fact, this technology ensures you with the high level of safety that you might have been hankering for. In addition, the motor is silent despite the fact that the motor is highly functional. The buttons on the panel are finger friendly. The LED display also is also well designed. Of course, this is not a gain-say, it’s what you can find out all by yourself after the purchase. Furthermore, it doesn’t wiggle at all whenever one is utilizing the machine due to its perfect ergonomic structure. Each of the feet is covered with a rubber so as to prevent scratches at the surface of your floor. Indeed, it’s superbly foldable so that storing it won’t be a hassle. And, also there are spaces that are designated to perfectly mount holders that fit your gadget and bottle. This is because the spaces provided are only for saving headphones only. However, the space provided for mounting attachable holders, apparently, won’t obviate user’s visibility in reading the display on the LCD as the control panel is 5 inches wide. In a nutshell, this is just a product that provides you with all the comfort that you look forward to seeing in a product. This treadmill is so much protected that the base has cushion deck. The implication of this is to ensure that the rate of friction that may occur due to the relative contact between the running belt and the deck is somewhat reduced. In fact, this innovation makes it easy for operators to carry out their exercise with bare feet. The manufacturer still makes available a silicone lube which you can apply to lubricate the machine. The deck is sturdy and each of the feet is shoed. Neither the running belt nor the whole base wobbles each time one is making use of it. It’s indeed highly reliable. 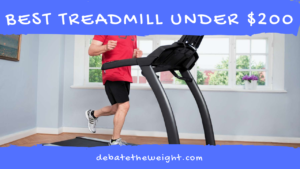 Are you in need of a treadmill that makes low noise while you’re working out? This might be your gem. It only makes loud beeps when it’s switched on or whenever the speed is changed. The exhilarating thing about this is that it makes three beeps when it’s switched on. Apart from this, it makes no other audible noises. With this treadmill, you can perfectly take up HIIT training as you can decide the timing of the functions. You can also choose among the ten speeds option between 0.5mph and 10.5mph that you most prefer. In addition, the running belt of this product has a dimension of 16 (W) x 50 (L). The delivery of this product comes in full. One of the important components that you’d find is the control panel/console. The console consists of quite a lot of buttons (it also has 12 presets) and it (LCD display) is 5” wide which is quite great for its apt visibility. It displays information on speed, incline, distance, time, calories burned, and pulse even though it doesn’t automatically switch on/off. Nevertheless, it has the capability to read the pulse and calories only if your hand have a relative contact with the sensors on the handrail. 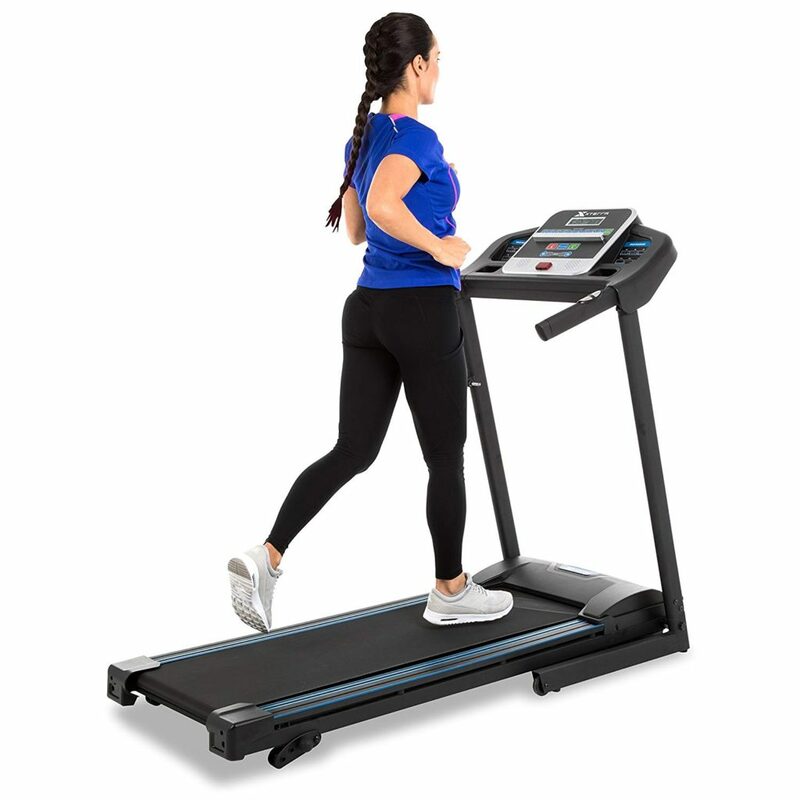 This XTERRA fitness foldable treadmill of TR150 model is one of the most reliable products that you can lay your hands on in the marketplace. Although it’s heavy, yet it has wheels at its base so has to make moving it super easy. Also, it’s a foldable treadmill that you can store it anywhere in your room. It has a dimension of 28.5” x 28.75” x 61” and weighs 114.4 pounds. However, the maximum weight for this product is 250 pounds. And, guess what? Its inclination can manually be increased by 0.5 degrees, 1 degree, and 1.5 degrees. Indeed, it’s highly durable and reliable to make use of as it’s made up of steel. Of course, this is a motorized treadmill. It’s called “powerful” because it simply can be used for all kinds of practices. In fact, you can use it to increase your moving speeds. It’s so recommendable due to the fact that its seed rate ranges from 0.5mph to 10.5mph. It’s just a home exercise instrument that you’d love to use. 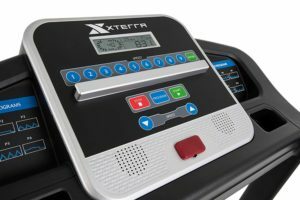 Why Should You Use XTERRA Fitness TR150 Folding Treadmill? This is a product that almost every functional part of it has a warranty. The motor has a warranty of a year while the frame has a lifetime warranty. Both the parts and labor also have 90 days warranty. Of course, the warranty is highly reliable. You can even learn to troubleshoot errors with the help of their assistance. The product comes with a cord that’s long and durable. It’s also thick and very easy to save in all apartments, regardless of its size. It’s an indisputable fact that products with high mph are the best recommendable treadmill for gymnasts. This is because it helps them to increase their speeds with ease. And, this does it perfectly right. It has an MPH that’s up to 10.5 MPH. This is a treadmill which frame is made of complete steel. The steel makes it usable and durable at anywhere. It’s just so reliable to make use of. An amazing feature of this product is that the deck is cushioned. Not only that, but the feet also are shoed so as to prevent it from skidding. In a nutshell, this is a treadmill that you can use and enjoy using. Its instruction booklet is easy to comprehend. There are wheels at the base. The inclination of this machine can manually be adjusted. Its LCD is 5” wide. The fact that it’s lengthy makes it recommendable to tall individuals for usage. This comes with a warranty. The home equipment has elegant looks. This is a product that has reliable functions. Please, what is the folded dimension of this product? Answer: The dimension is 28.5 (L) x 28.75 (W) x 61 (H) inches. How quiet is this product? Answer: It’s very much quiet. Can someone who is 6.2” use it? Answer: Manageably! However, it can be flawlessly be used by one who is 5.7” tall. Can I use it flat without inclination? Answer: No! The 3 inclinations are just not too different from using it flat. How should I incline it? Answer: Look at the side of the base (you can check either of the sides). You’ll find a “lock” to a particular hole despite there more. Remove the “lock” and raise the base to your delighted height, then insert the “lock” into the hole. This review hereby impugns you to purchase the best product. Having provided you with this magnificent product, you sincerely don’t have any excuse but to secure the right purchase. With such a reliable treadmill such as this, you can jog, maintain your health and probably find no need of visiting gyms. It’s multifunctional and super reliable to suit the taste of various customers. 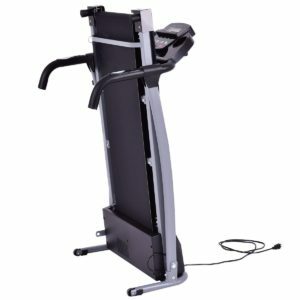 The best treadmill for users that are below 5.5” tall and weigh less than 200lbs is the Goplus 800W treadmill. This comes into the picture after we had sought and compared the qualities of trending products and we found this to be exceptional. We evaluated why some do better in the marketplace and some don’t. Then we come to the conclusion that being a “quality” treadmill is not the function of the product description made by the manufacturer that matters but it’s a function of its (the product’s) aftermath: conveniences of use that buyers enjoy after the purchase validates its quality. 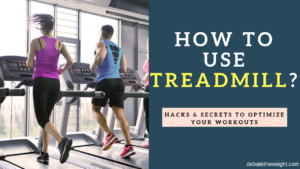 Having based our evaluation of this fact, we then concluded that this is one of the best Treadmills only for users from average heights and below. This is an exercise equipment that’s so convenient to lug from one place to another. In fact, assembling it is not a hassle at all as it comes almost completely assembled. Of course, this has numerous functions that consist of 6 variable speeds and others. The construction also is not that bad; it has a super fascinating construction which constitutes an IPAD holder and handlebars. Furthermore, this is a treadmill that you can preset to recycling, jogging and walking. It’s so dazing that this makes next to no noise even while it’s on operations. That’s not all, teenagers can use this one. And, guess what? It’s very safe to make use of. It has on/off switches just by the flank where users can alter its functions. There are also indicators that make it highly recommendable to both old age and health challenged users. The indicators are the LED light –red, orange, green – and it beeps so loud when the speed is changed. The treadmill is just dependable to make use of as it’s electrically powered. The metal material that it’s made up of make it durable and highly recommendable. This is a luggable treadmill that’s also foldable. It was solely designed for potential users that have a little available space for using it and are of medium sizes. Its width is about 27” and it looks great. In fact, you can find it in different colors. You can opt one of the three that are available in the marketplace – black, blue, pink. The assembling of this machine is a breeze. It’s a machine that almost fully assembled even right from its delivery. The machine is also easy to disassemble also. All you just have to do is to remove the handlebar, then it’s ready to be saved. We so much understand that sometimes, handles can be so lengthy that it may exceed the original width. This, however, has tilted handles so that users don’t have to too much get closer to the panel before gaining assistance. There is a control panel right at the middle of the two handles. The control panel has LED light that lasts for seconds. The available LED modes that you can preset its functions into are heart rate, speed, scan, right, distance, and calories. These all show right on the LED screen for the proper and easy reading of your activities. Right on the control panel, you’ll also find 5 white buttons that you can utilize to decide the mph of the speed. And, right on the handle rail, you’d find on/off switch which you can comfortably use to control the treadmill. The handrail also comprises functions like heartbeat rate test and speed +/-. There are so much that you can still learn with it. There is a safety key with a tiny long cord that connects a body on the motor to the control panel. The key is one of the numerous options that are provided on the machine. Others that you can use to halt the mechanism of the machine is the on/off switches, one is on the control panel while the other is on the handlebar. The safety colors help anyone to intuitively understand the performance of the functions. Beyond any iota of doubts, this is a treadmill that anyone can enjoy using. This treadmill is made of heavy-duty steel so as to last anyone for long. The locking screws that are used in holding it together are firm and highly awesome. The handles, on the other hand, are tilted at 5 inches from the jointed spot (console/control panel) so as to be easy to grip. Not only is it bent but the handles are all coated (safe for handling) so as to enhance users’ comfort. It also has an ergonomic structure with a nice, strong belt. That means, you definitely don’t need any assistance in perfectly positioning the treadmill. In addition, the belt has a dimension of 38.2″L x14″W. The dimension of this treadmill is 56 x 57.9 x 26.8 inches and it weighs 59lbs. Although the machine is made of steel yet its control panel is ABS. The running belt, however, is made of PVC which is superb for the material. The speed options are between 0.5 and 6.5 mph. In a nutshell, this is a treadmill that’s made with respect to the US standard. It uses a wattage of 800W and a rated frequency of 110V. The modes range from P1-P12. Why Should You Use Goplus 800W Folding Treadmill? This is a product that we’ve come to choose among several ones that cost less than $200. The fact that it’s cheap in price doesn’t implicate its value. It’s definitely a product that we highly recommend to suit our amiable readers. The amazing feature about this is that it can easily be stored. Folding the machine is so easy that you pull up the bar with a single hand. In fact, it can be tucked under the bed. Although it’s electrically powered, yet it’s noiseless. Apart from that, it doesn’t skid also. The base has non-skid rubberized stands that help it to remain firm on the ground. There are two spaces where two 20oz can be kept. It has also space just around the control panel that holds an IPAD sturdily. And, right around the handles which are indeed long, you can easily spread your hand towel. Indeed, one of the numerous features that you’d want to look out for as a first-term buyer is the reliability of the machine, right? Definitely, this is a product that has been accredited by most buyers around the globe. And most of them have recommended it for dependable purchase. 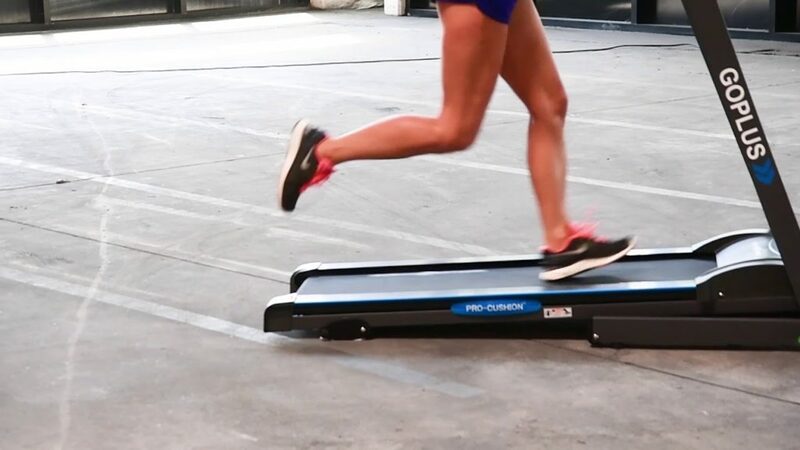 This treadmill is foldable and easy to store. The mph of the machine ranges from 0.5 to 6.5. It has multiple buttons with LED display. There are spaces where an IPAD and two bottles can be positioned. The frame of the machine is made of steel. 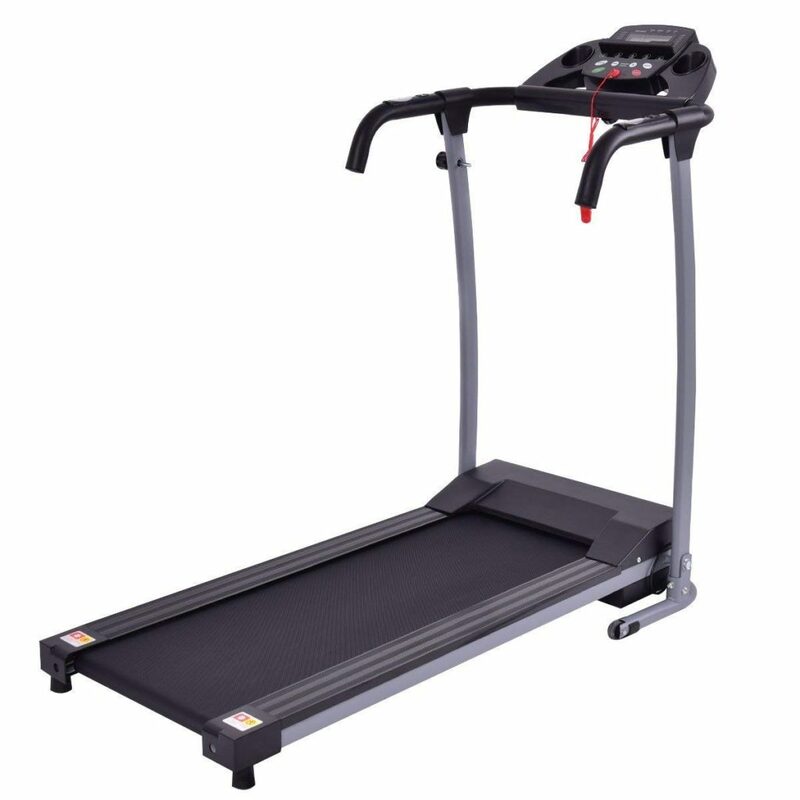 This treadmill is highly reliable and affordable. It comes in full packages. This has six-speed limits with a quiet, quality, reliable motor. The instruction book is not reliable especially in the enumeration of its performance. Neither the handle nor the inclination is adjustable. Can I walk on the running belt with my bare feet, hope it won’t hurt? Answer: Yes, you can. But that’s if you’re not using it for long. Do you think a 60 years old woman can lift up this exercise equipment? Answer: Yes, you should if you have no health challenges. I hope the motor is quiet? Answer: Of course, it’s super quiet. What is the switch at the front near the power cord used for? Answer: It’s for switching on the power. Use it immediately you’ve completed assembling it. How perfect is it for running exercise? Answer: Excellent! You can’t believe it when you begin to use it for this. This Goplus 800W treadmill is undoubtedly one of the best. It can be used by anyone to carry out day-to-day activities. It has quality features that make it distinct. The design also is so magnificent that it can be placed any befitting area around the house. We hereby impugn our amiable readers to utilize this information to procure a product such as this that’s durable and lasts long. The article comprises all the notable information that’s needed to make the right purchase. 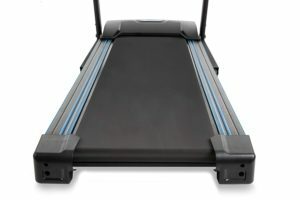 How To Use Treadmill For Beginners? COPYRIGHT 2018 DEBATETHEWEIGHT.COM | ALL RIGHT RESERVED.